Jayson: I worked in the coffee industry for a while right out of college and began to talk to the different remote workers that would come in and post up at the coffee shop. I started hearing a buzz from people that would come up to the mountains from denver to work which sparked my curiosity. After several weeks hearing people talk about difference coworking spaces they were a part of, I went down to Denver one day and toured a ton of different spaces. This is when i was hooked. Seeing so many people in one collaborative space was awesome. Austin: I was catching up with one of my former college coaches over coffee one morning and he recommended that I look into coworking spaces for a place to connect to other like minded individuals. At the time, I was working remotely for Hewlett Packard Enterprise as a software sales rep and was learning how many solutions are solved in business with technology. I was consistently coming up with ideas for new startups and was discussing several ideas with him in the coffee meeting. 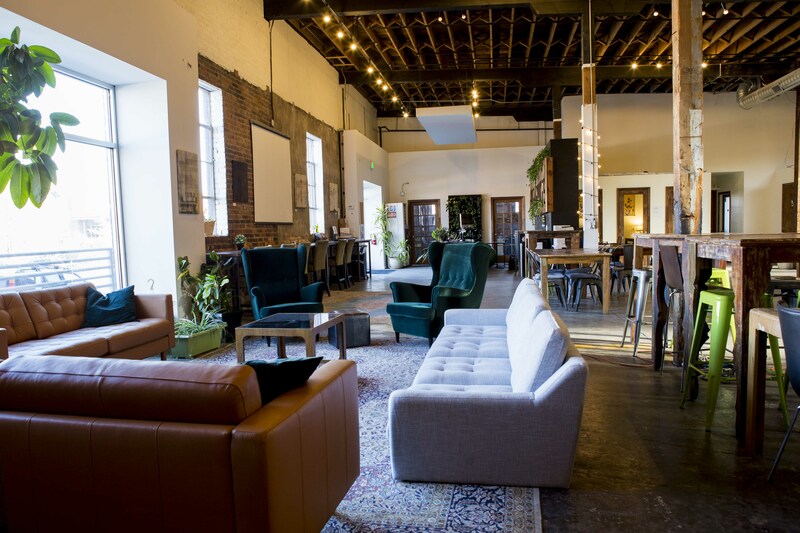 I went to check out Galvanize and fell in love with the collaboration aspect of coworking. What inspired you to open up a coworking space? Austin: My wife and I decided to move to Winter Park when we first got married due to our love for snowboarding. I was working remotely out of Jayson’s local coffee shop, The Perk, and paying him like $3 for a cup of coffee in exchange for bombarding his WiFi for 9 hrs a day. One day, he asked me what I thought of coworking and I told him I loved it. He scheduled an event with all of the influential people in the community by the next week to pitch the idea to the town of Winter Park. The event went well and he had a lease signed by the end of the month to open up Blue Arrow. I had been doing some digital marketing work on the side so he initially contracted me to help him with his online strategy. We found out that we ended up working really well together so I quit my job at HPE and we decided to put our combined efforts into making this coworking thing work. How have things changed for you personally since opening Blue Arrow Coworking? Jayson: My day to day has changed a lot. I think since opening Blue Arrow there has been so many opportunities that have opened up. It has been really awesome to be around other coworking space owners and coworking space members to see what everyone is working on. Being surrounded by passionate people has challenged me a lot! Austin: It has been a year full of ups and downs. I’ve learned that by making a commitment and sticking to it that good things come. I think my wife thought I was crazy for quitting my job, but I believed in Jayson as a person and a businessman and wanted to make a commitment to the partnership with him. We struggled initially with Blue Arrow but forming the partnership with Green Spaces really pulled us through. 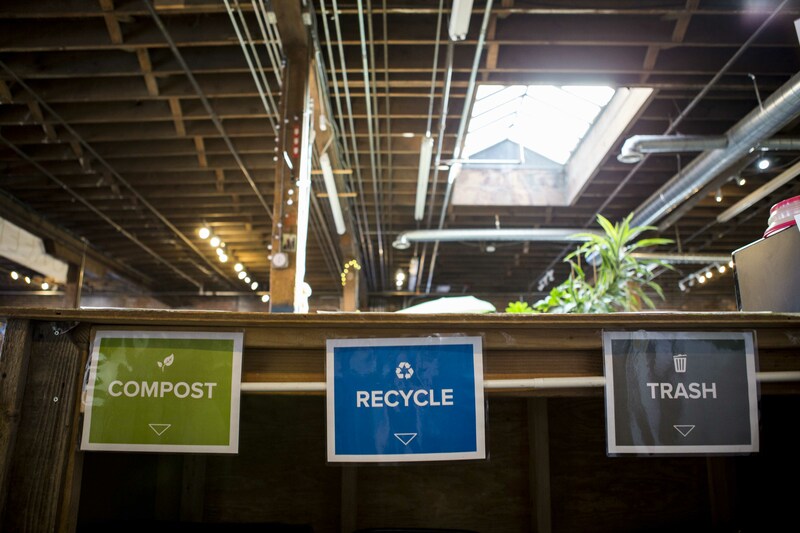 What sparked the initial partnership between Blue Arrow Coworking and Green Spaces? The question has been asked over and over, “How do you make a coworking space in a mountain town work in the long run?” We made it our goal to figure this out. 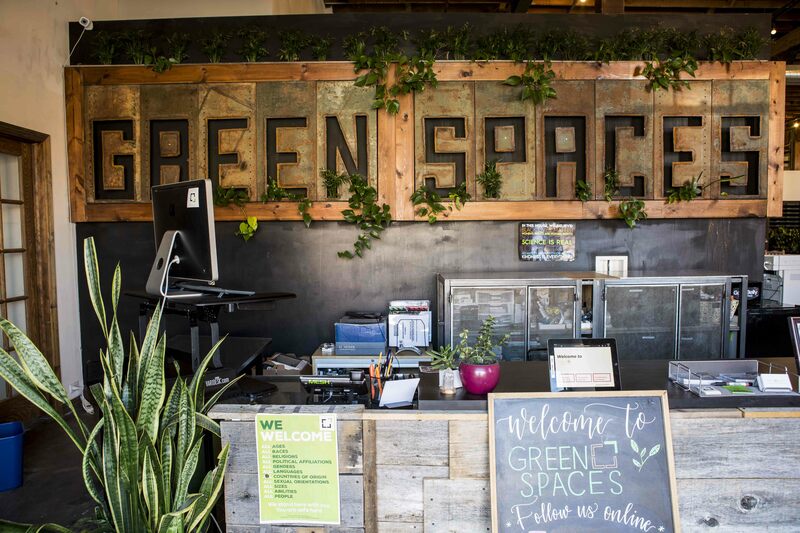 Our thought was that our best shot at doing this would be to connect to the Denver entrepreneurial hub which led us to the partnership with Green Spaces. As you mentioned, environmental sustainability is a core value for both spaces. What can coworking spaces who are looking to become more environmentally sustainable do to reduce their carbon footprint or make a positive impact on the environment? It’s different for every space depending on what area your space is located. We have 160 solar panels on the roof at Green Spaces and work with Alpine Waste out of Denver who gives us a report every month on how well we are doing with our recycling, composting, and trash. For Blue Arrow we take more of an educational approach by posting signs over each bin telling members what they can and can’t recycle and compost. We believe that every little bit counts. We are happy to share our design mockups that we hang above our bins with any space owners who’d like to implement this in their space. 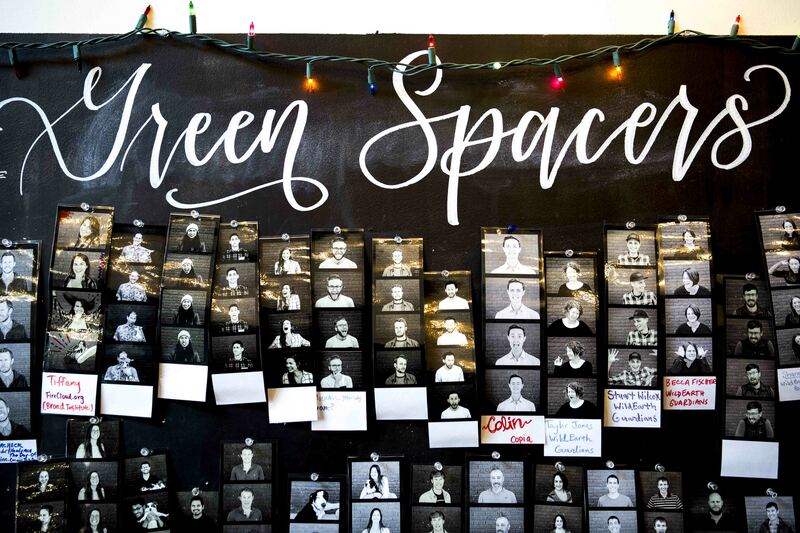 How would you describe the community at Blue Arrow Coworking & Green Spaces? Are there any key synergies or maybe even differences that complement each other? We’re still in the phase of getting to know our community members at Green Spaces. The one obvious synergy that we would like to mention is that the majority of the Blue Arrow members are living in Winter Park because they enjoy some sort of outdoor activity. We were initially interested in Green Spaces’ mission because of the focus on sustainability. We both enjoy spending time in the outdoors and therefore see it as our responsibility to do our part in maintaining the beautiful place that we get to call home which is where the environmental sustainability piece plays in. What does this acquisition mean for the members of both spaces? Are there any member perks that have developed through this acquisition? Ie) Can members from Green Spaces use Blue Arrow Coworking? Yes, we allow paying members access to both spaces. With any full-time membership in either space, members can travel to the opposite space 3 days per month. 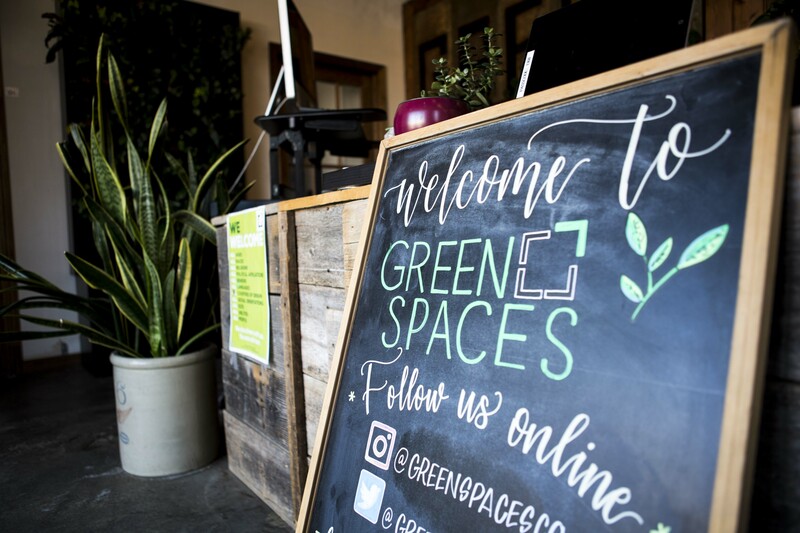 With Green Spaces being a respected coworking space in the industry for nearly a decade are there any helpful lessons you learned through them that you have applied to Blue Arrow Coworking or would recommend for new spaces to take into consideration? We are learning that it is important to have a niche. WeWork and Galvanize own the technology focused individuals but we are focusing on building a community around purpose driven companies and individuals. We believe that a lot of people in today’s working environment, especially the millennial generation, are motivated by more than just a paycheck and want to have a purpose driven mission behind what they are doing from 9-5 during the week. This is a great question. We are uberly focused on streamlining operations at Green Spaces in 2018 and feel that there are multiple growth paths that we could take. Our plan is to devote the time to our growth plan that a growth plan deserves in early 2019 to make a decision on which route to go. In short, we see so much opportunity in coworking and are looking forward to what the future has in store. Do you have any future locations in mind? Expanding to future locations is definitely one opportunity we see for growth.